...“Love for Sale,” as sung by Kathryn Crawford, June Shafer, Ida Pearson, and Stella Friend, was in the worst possible taste. A frightened vocalist, Miss Kathryn Crawford, sings a threnody entitled “Love for Sale” in which she impersonated a lily of the gutters ...When and if we ever get a censorship, I will give odds it will frown upon such an honest thing. Moss chose The New Yorkers as the first production to be staged in his palatial playhouse, the newly renamed Broadway. The New Yorkers was based upon a story by E. Ray Goetz and Peter Arno, the latter a cartoonist who provided cover art for the New Yorker. Starring Frances Williams, Charles King, Hope Williams, Ann Pennington, Richard Carle, Marie Cahill, Fred Waring’s Pennsylvanians, and Jimmy Durante it was typical of most ‘30s musicals, its flimsy plot centering on the escapades of a society girl who falls in love with a bootlegger. Hopes ran high with a great cast and the Cole Porter music and lyrics, but only the cream of the crop would survive the onset of the depression, and the show was closed by early May after 168 performances. The infamous highlight of The New Yorkers featured Kathryn Crawford and three girl friends singing “Love for Sale” in front of Reuben’s Restaurant. A white prostitute singing candidly about her profession was too much for 1930 audiences, the same year the motion picture industry felt it necessary to announce the Hays Code. In an effort to defuse the moral outrage, the authors changed both the singer and the scene. In January, 1931, Crawford was replaced by Elizabeth Welch, an African American singer, who sang the same song with the same girlfriends in front of the Cotton Club in Harlem. Apparently the greater immorality of the switch was lost on many. “Love for Sale” appeared on the pop charts in February, 1931, with Libby Holman’s recording rising to number five. A few weeks later, Fred Waring’s Pennsylvanians’ rendition, with vocals by the Three Waring Girls, climbed to number fourteen. A few years later, in 1939, a recording of the song by Hal Kemp and His Orchestra, with vocals by the Smoothies, climbed to number fourteen on the pop charts. As a rule, less radio play translates to fewer record sales, but when “Love for Sale” was banned from the radio, the song only gained in popularity. Not only did Walter Winchell promote it in his column but the ban itself proved alluring to the record buying public. The New Yorkers also contained Cole Porter’s “Go Into Your Dance,” which became a hit by Johnny Green and His Orchestra, and “Where Have You Been?” charting with Emil Coleman and His Orchestra. It may be the subject of prostitution that colors critics’ reactions to the song, as Porter’s lyrics, like a hardened streetwalker, show little emotion; there is very little said that either prettifies or laments. The phrases that are revealing seem to cancel each other out: “unspoiled” is negated by “soiled,” and “Appetizing young love” is diminished by “I’ve been through the mill of love,” which in turn is trivialized by the clever rhyming, “Old love, new love, every love but true love.” Porter’s impassive account of streetwalking might produce several reactions, depending on one’s point of view. A lack of self-pity and regret imply moral indifference, an affront to those who condemn such behavior, while a lack of joy may lead others to interpret Porter’s lyrics as a melancholic lament. Beyond the written lyrics, the vocal deliveries of “Love for Sale” vary widely. Dinah Washington growls and belts; Mel Torme (with appropriately altered lyrics) scats; Diane Schuur closes an up-tempo rendition with backup singers repeating, “Got a little bit of love for sale”; and Ella Fitzgerald leaves you with the feeling that you have just heard another beautiful love song. “Love for Sale” is musically a well-constructed composition, drawing praise even from those who have contempt for its lyrics. Its unusual form, minor key, and complex chord progressions make it attractive to jazz instrumentalists and vocalists alike, many of whom have recorded it numerous times. This section suggests definitive or otherwise significant recordings that will help jazz students get acquainted with “Love for Sale.” These recordings have been selected from the Jazz History and CD Recommendations sections. “Love for Sale” has had many different interpretations through the years and numerous wonderful recordings. Among vocal versions, Dinah Washington’s fine performance (After Hours with Miss D) stands out and really explores the song’s essence. Instrumental versions have tended to be taken at relaxed medium tempos, epitomized by Cannonball Adderley’s classic 1958 version with Miles Davis (Somethin’ Else), though there are some great up-tempo performances as well, notably Dexter Gordon’s 1962 version (Go!). Form A1 - A2 – B – A3 (the last “A” is really “A1” for the first four measures, “A2” for the last). Cole Porter wrote an eight measure tag at the end, but this is not usually performed by present-day artists. Tonality “A” sections about 50/50 between major and minor; “B” primarily major. Movement Steps and skips in both directions over the range of an octave and a fifth; no large leaps. Slow harmonic rhythm with many sustained notes in the melody makes this an ideal tune for improvising over several different changes. The chord progression is logical, using the circle of fifths in major and minor and tri-tone substitutions and common-tone diminished (of half-diminished, i.e. minor 7thchords with a flatted fifth) for smooth modulations. Although not noted in Porter’s original score, chord extensions such as the 11th and 13th appear at significant points in the melody, particularly mm. 47-48 and mm.60-63. Sidney Bechet was the first great jazz soloist on the saxophone. His instrument was the soprano, which he played with a heavy vibrato to compensate for the instrument’s tuning difficulties. His sound is anathema to many modern jazzmen weaned on John Coltrane’s soprano playing. Bechet’s approach is from a different era, where jazzmen were less concerned with chord changes than probing the emotional depths of a song. Bechet recorded “Love for Sale” in 1947, playing one chorus over the course of three-and-a-half minutes (the tune hadn’t caught on with jazz players, no doubt due to its awkward length of 72 bars). 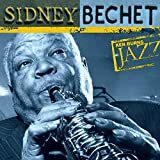 Bechet uses all his tricks--bent notes, glissandi, growls, double-time and cross-time phrases--proving there is more to jazz improvisation than pyrotechnics. Taylor, always a fascinating interpreter of standards, gives “Love for Sale”’ a brooding, unpredictable performance. His interaction with bassist Buell Neidlinger is particularly striking. Jamal’s drummer-less trio was wonderfully swinging and tight, and their arrangement of “Love for Sale”’ is superb. One can hear why Miles Davis found this group so inspiring and subsequently recorded this tune himself. This compilation includes Shirley Horn’s sultry take on “Love for Sale.”’ Though the track doesn’t feature her wonderful piano playing, the band is swinging and tasteful and leaves her enough room for her vocals to really shine. At an extremely bright tempo, Harris shows his stunning ability to mix blues, bebop and modern language (in this case the use of melodic fourths). The rhythm section of Cedar Walton, Ron Carter and Billy Higgins swings mightily. Backed by a trio, vocalist Mel Torme gives the song his trademark treatment. Bubbling over with energy and with some wonderful rapid-fire scatting, Torme sings the song from an interesting perspective. This piano/guitar duo sparkles with telepathic skill as they toss the lead back and forth. Their deep sense of musical history embellishes “Love for Sale” with jaunty new life. Saxophonist Adderley gets some stellar assistance from trumpeter Miles Davis on this unhurried reading of the “Love for Sale.”’ Davis’ solo is inspired, and drummer Art Blakey throws in some inventive riffs. Singer Dinah Washington is sweet as honey one moment and growling with passion the next. A very sensual and bluesy reading of the song. Saxophonist Gordon delivers a wonderful, up-tempo, be-bop reading of the song. On occasion the driving rhythm section breaks into a Latin beat, and the overall feeling is a joyous one, much at odds with the original sentiment of the song.